Our rental was in a great location. The unit was clean and the grounds were stunning! The condo had everything we needed. Our only complaint would be that we only had 2 garbage bags and two laundry tabs provided but the rules stated to take the garbage out daily and not leave dirty dishes in the dishwasher. Otherwise, our stay was perfect! We snorkeled off the open area out of the property, tons of fish and easy to get in and out! We used the BBQs one night and talked with some property owners, everyone was nice and helpful! I recommend staying here, it is close to the shops and dining, you are along the main strip. 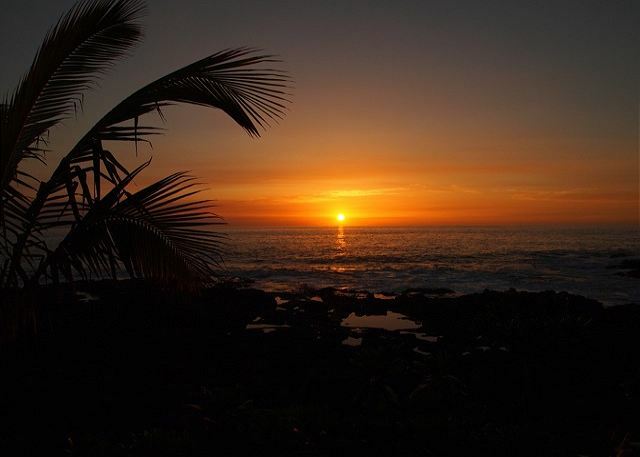 Thank you for posting this 5 star review of your experience at Kona Makai. We are happy to hear you had a beautiful stay with an excellent location. Thank you. As for the starter kit of supplies, we do supply the initial provisions, however it is the guests obligation to procure other items as needed. Nonetheless we listen to all recommendations and will follow through with housekeeping to make sure the initial provisions are sufficient. We sincerely hope you return, and please do contact our attentive property manager for our coveted repeat visitor rates which are the best you can access. Mahalo nui loa! Words cannot express how perfect this was. Loved every minute. Thank you for posting this 5 star review of your experience at the property! I am happy to hear you loved every minute of your stay. We sincerely hope to see you guys again soon. 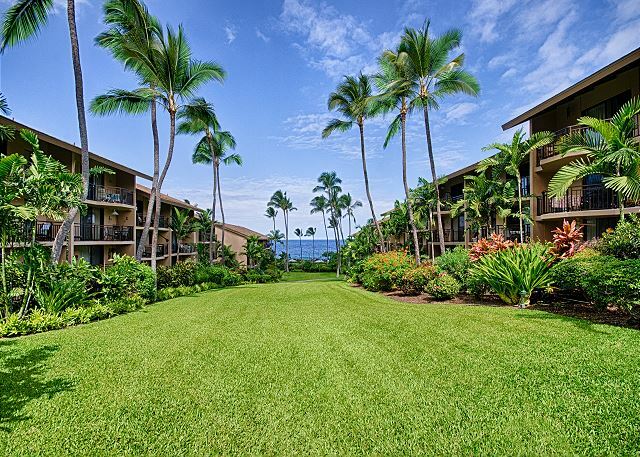 Simply remember that the best possible rates are found directly through Boundless Hawaii. The location and premises were perfect. Quiet and the grounds looked beautiful. 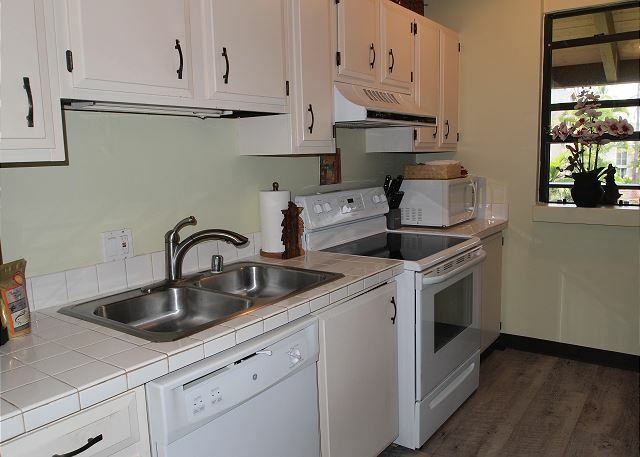 The unit was great however the furniture, mattresses, pillows and appliances need to be updated. Not complaining but they do need updating. Kris, thank you for the constructive criticism. We will forward this to the condo owner and consider replacing the items you've mentioned. Lovely condo rental, convenient location, quiet, great view. Stayed here with 4 adults, 1 child. The unit has a master bedroom plus a loft bedroom. 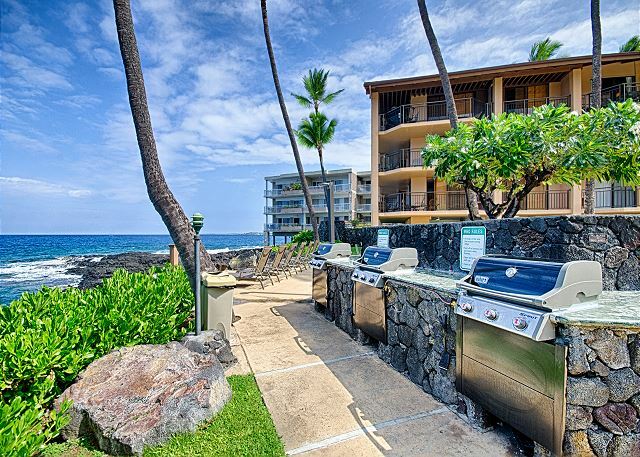 There is a single bathroom, plus a perfectly-sized kitchenette, and of course, lanai. The unit came with strict warnings about proper behavior (e.g., no towels or gear on the lanai) and some reviews noted grumpy property management. We didn't have any issues, nor interactions with those folks, however. The space was nice, well-furnished, and very comfortable. Multiple fans kept the space comfortable, though we turned on the AC twice over our weeklong stay. That was mostly for the folks sleeping up in the loft (heat rises ;-)). The owner kindly rescheduled a few standard maintenance activities to allow our stay within our preferred dates, which was much appreciated. The unit itself was generally in great shape already. Amenities were much appreciated as part of our longer vacation and included: full-sized refrigerator (with ice maker/COOOOLD freezer), washer and dryer, and even a dishwasher. It was also fully furnished with common kitchen tools and utensils (including quality knives!). We made good use of this and cooked several meals for ourselves. 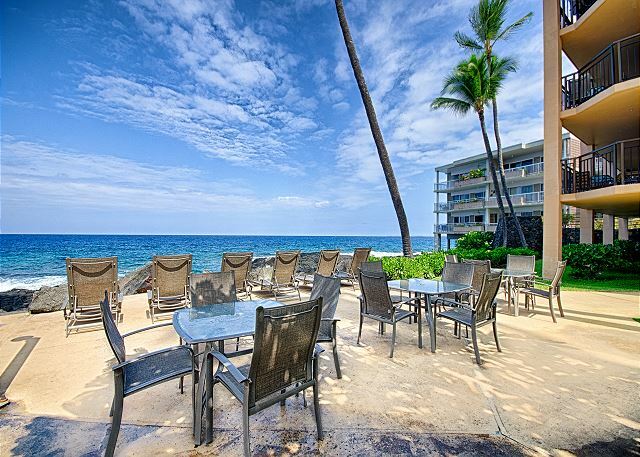 We thank you for taking the time to thoroughly review your experience at Kona Makai 2303. It makes it much easier for future travelers to make a confident decision when renting. We encourage you to return to the condo in the years to come! It was so good.but I think there was three problem about property. At first, door to balcony is too heavy. Second, there was no one in the office not all time but so many time there wasn't them. Third, screen door was brokn. 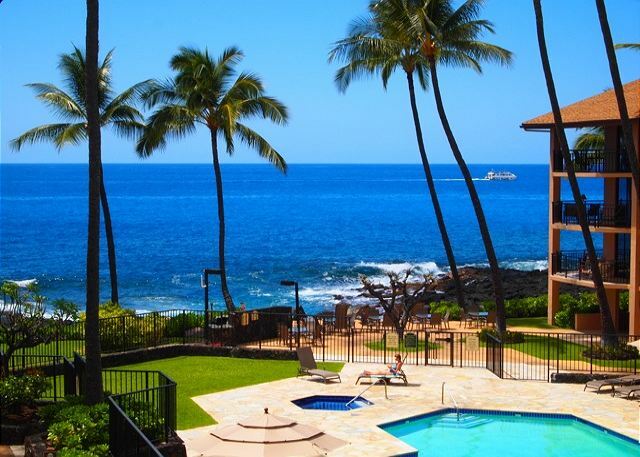 We had a wonderful stay at Kona Makai 2-303. The location made travelling in any direction easy. The grounds and pool area are beautifully maintained. The only thing we would suggest for improvement is to the unit itself. While it works extremely well, there are things that should be either updated or repaired. The kitchen contains lots of repeat items and yet is missing some basic ones. 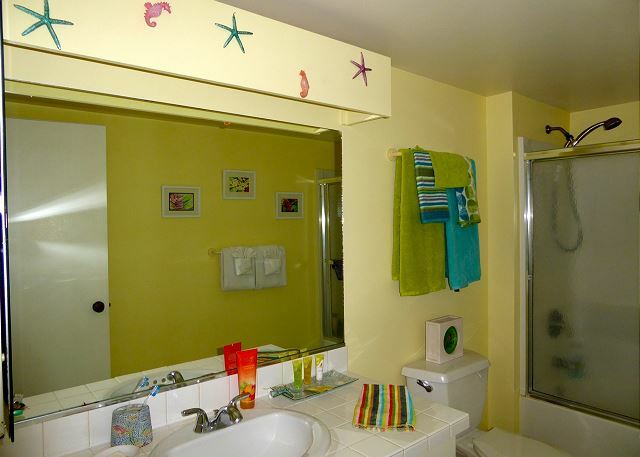 The bathroom should be redone completely, and perhaps the kitchen as well. It's just time. Thank you for the constructive criticism, we have since spoken with the owner who intends to redo the bathroom, and who just replaced the floor in the kitchen. 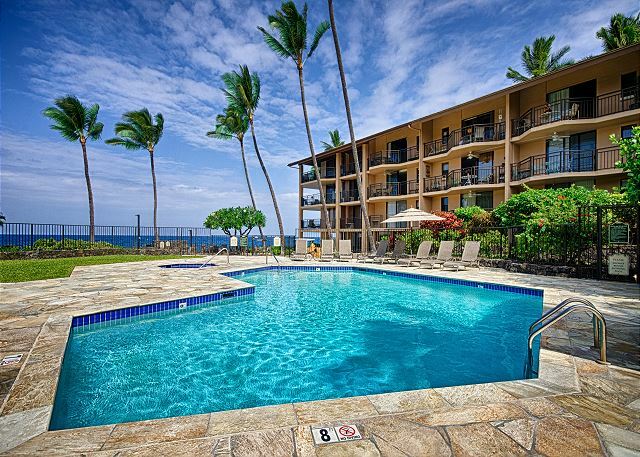 We hope that this did not take away from your experience at the Kona Makai, and encourage you to return and take advantage of the repeat customer discount! Thank you for the feedback Stewart. We intended to have the carpets professionally cleaned, however due to the time in between bookings this could not take place. We hope that this didn't take away from your overall experience, and would love for you to return! We really enjoyed our stay. Liked being on the 3rd floor with view of ocean and sightings of dolphins and whales. Pool and grounds were great. Good location. Furniture was a little dated...but not a deal breaker! We loved our vacation rental! It was: easy to find, clean, well decorated which allowed for a peaceful atmosphere, had everything we needed! The grounds were immaculate! Absolutely gorgeous and lush! The pool and sitting poolside was great! Being on the ocean was amazing. 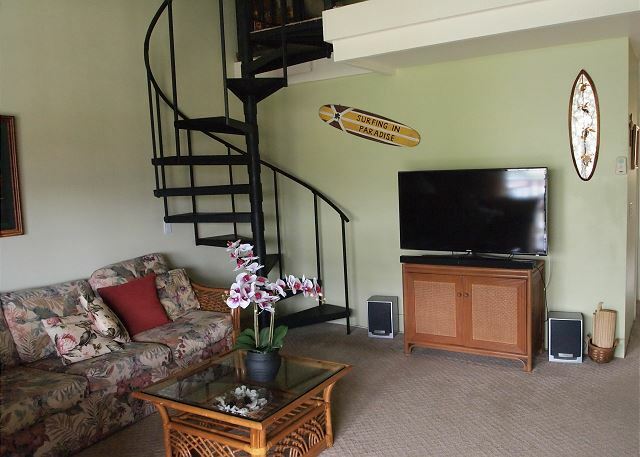 You could go down and be seaside or enjoy the ocean from the lanai! Management was friendly and helpful! I also appreciated the fact that the enforced rules which helps keep a peaceful and enjoyable atmosphere! All the folks staying at the condo were very friendly and helpful with information pertaining to excursions and beaches. Location was central. Easy access to everything we needed! 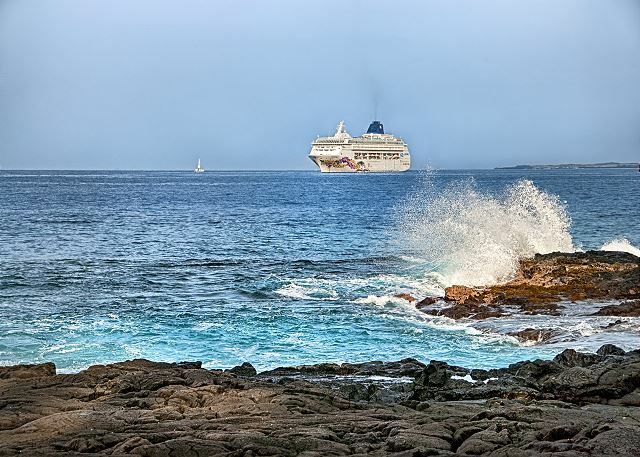 We loved everything about Kona Makai and our 2 weeks in paradise. Most important thing is our condo was exactly as advertised and we would definitely stay there again. We only needed a short term rental that was centrally located, and this fit that bill. But we had trouble logging into the secure internet, and in this day and age where we are so dependent upon the internet for travel info, this made things a bit difficult. We also appreciated the welcome coffee, but it would have been nice to also have welcome coffee filters so we could actually make the coffee. It wasn't worth going and buying a big package of filters for only a couple of mornings of coffee. We found the property management staff very helpful and always responded to the needs we had, quickly. We had to have maintenance come up to the room 2 or 3 times for a couple of problems. We enjoyed our stay in Kona. The directions from Boundless Hawaii to the Condo were excellent. When we arrived, the air conditioning did not work. Called Boundless Hawaii and they came and fixed it within an hour which was awesome. 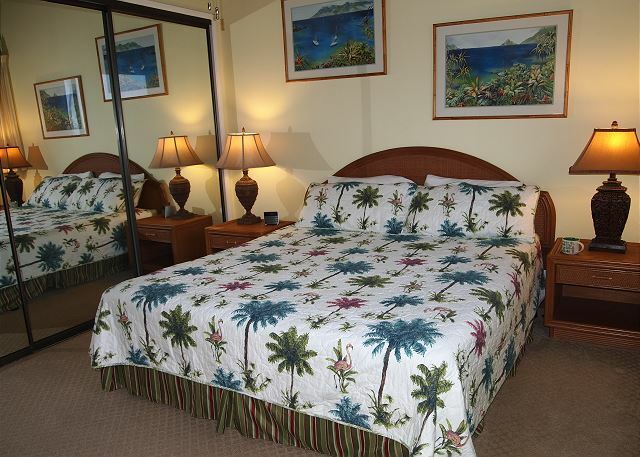 The bed was comfortable and the view from the lanai was fantastic! All in all a nice and comfortable stay. I do think the carpet and furniture could be updated, but it did suit us just fine. Would like to see handicapped designated parking in the lot somewhere. Well maintained condo (though dated) in a good location, with beaches and other attractions to both the north and the south. Lovely grounds to condo complex; partial view of ocean. We appreciated the option of room a/c which worked well. 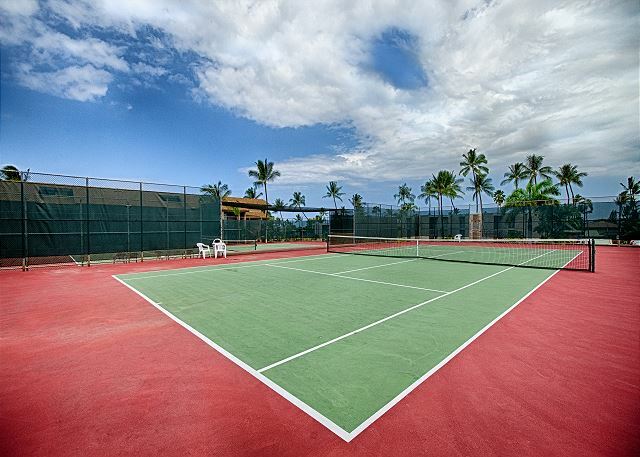 We didn't use the amenities - small pool and hot tub oceanside, and tennis courts streetside. Internet very poor with erratic and weak connectivity. Condo is a 3rd story walk up, which was fine for us (and, as a result, we had the partial ocean view and quiet), but potential renters should take note. We spent a very enjoyable 12 nights at this lovely condo. The condo was very comfortable, nicely decorated, and well equipped. It was so peaceful sitting on the lani drinking Kona coffee and watching the Dolphins swim right off the shore. 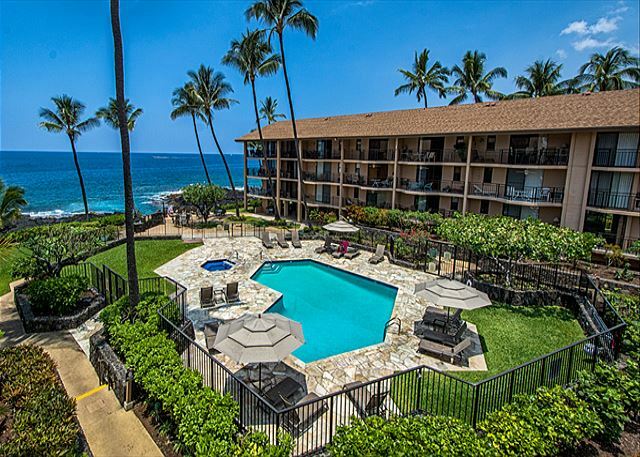 The complex is beautifully landscaped and the pool area and ocean lounge are are very nice. The residents are friendly and sunset is a social gathering on the waterfront. The only negative is the long list of rules especially at the pool. Children under 2 are not allowed in the pool and the hours are 9 to 9. There is a lovely spa that would be nice to use later in the evening after dinner. 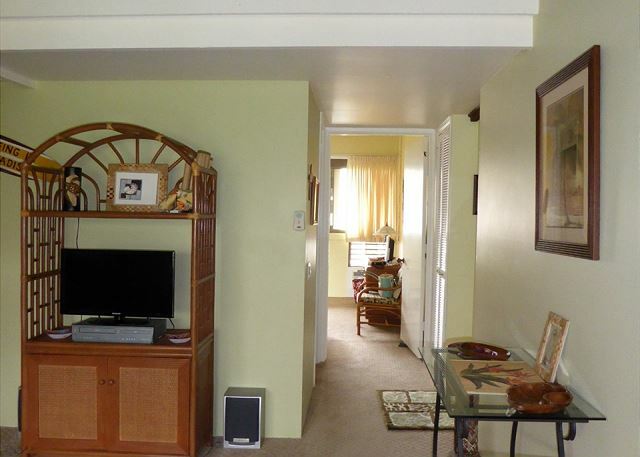 The location is also great because it is close to town, restaurants and shopping. Unit very well equipped. Great location, wonderful vibe with the Iron Man competition on. 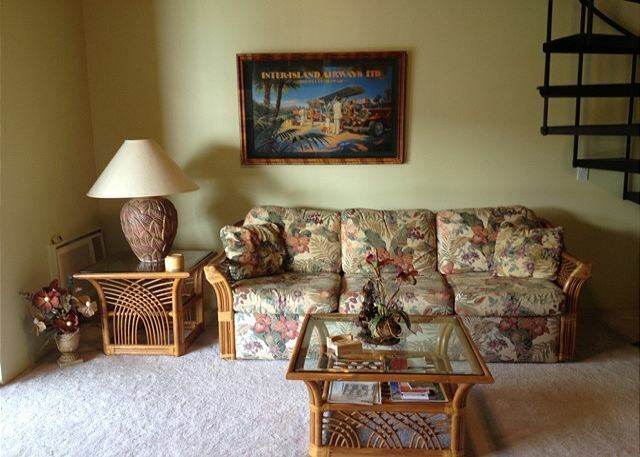 Great location and very nice Condo. We would go back to this unit again. We arrived April 3, 2015. The information from Boundless Hawaii was very clear and concise. 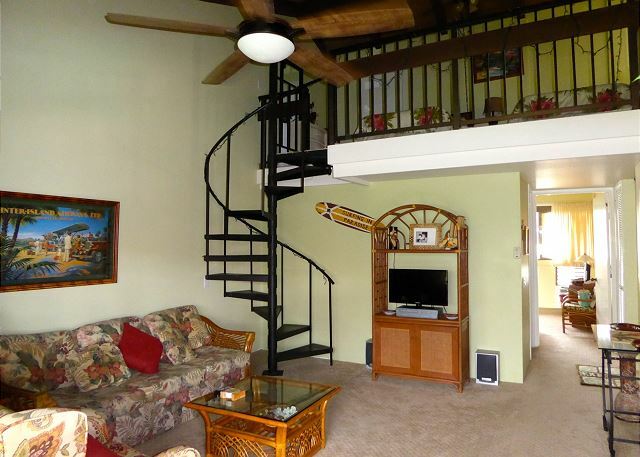 Our condo was on the third floor, which provided us a stunning oceanview! The two of us had plenty of space, the kitchen was well stocked, with the exception of non-breakable plates for use around the grill. But this was remedied by us purchasing paper plates. I would highly recommend this condo. 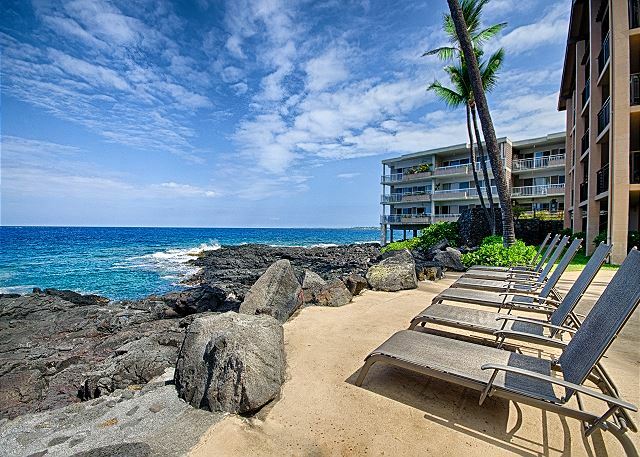 Our family of 5 loved staying at Kona Makai 2-303. The condo had everything we needed and was very clean. 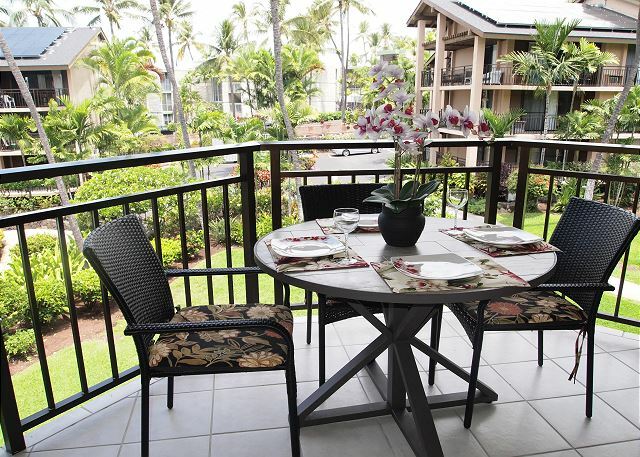 The location was ideal for beaches, restaurants and gorgeous view right from the lanai. The condo complex has beautiful gardens and is very quiet. Highly recommend staying here. Patty H from Norco, California does not recommend this vacation rental. We love Kona Makai & have been spending Christmas in Kona for last 10 years. This is the first time in his unit, however. Although it was clean (with new carpet) & adequate. We are used to preparing & eating most meals in the condo . it could stand a bit of updating & there are some recommendations: unit is to accommodate 4 people & there were just 2 of us... We would recommend he following: kitchen (more full sized forks... Silverware is mismatched wh only 2 dinner forks, potato masher, fix broken drawers, acrylic glasses for pool use (only 3), liquid measuring cup, fix stove burners & stove clock or replace stove). Living room: chairs are very uncomfortable, and most people might not spend much time in the unit, but we go to Kona to relax & had to bring bed pillows to chairs to be comfortable while watchng TV. Lanai... We spend much time there & play games at night, plus eat all meals there. The small lamp does not provide enough light. There are hooks for hanging lamp, & would recommend a lamp be hung there. Bathroom: fix sink stopper. Cannot close drain. Other: We have stayed in other units & most have coolers to be used when going to beach or on day trips this one did not. The condo was lovely and more than adequate. Loved having a big window in the main bedroom to see the sunrise, then watching the sunset from the balcony. Location was wonderful - close to everything. The grounds were beautiful. 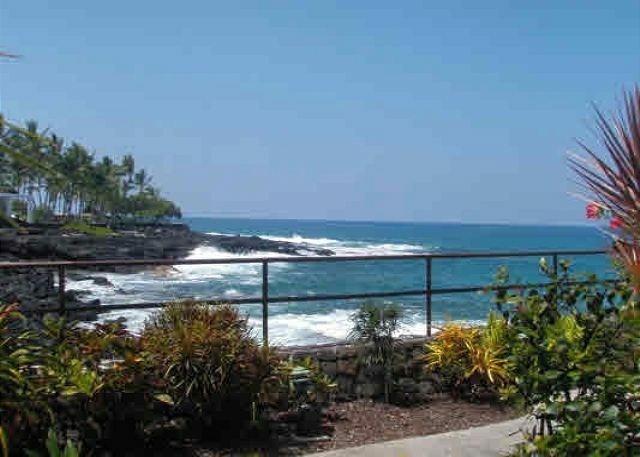 A wonderful, relaxing, beautiful place to enjoy the Big Island. We hope to be back! My husband and I enjoyed a beautiful, relaxing few days at this property. 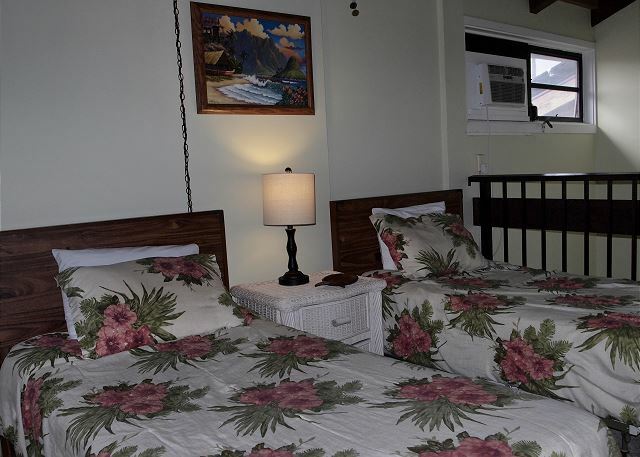 It was very well maintained and we had everything we needed as well as having a super, quiet location from where to watch the amazing sunsets. There was a good choice of restaurants,beaches and shopping within the area and a great place from which to explore the island. I would definately recommend it . beautiful grounds and a very quiet place. The master bed was very very comfortable. a little warm in the loft on really muggy nights. They need to fix the leaky kitchen sink. would stay there again. I would definitely recommend this property. The property management company was excellent as I was sent the wrong code to enter the condo and they promptly [and I mean very promptly] responded to my call and settled the matter immediately. It is a beautiful location. Great place to stay! It was hard to get a sense of the place from pictures, but it was perfect for us. Clean, cozy, great for a 2 week stay. 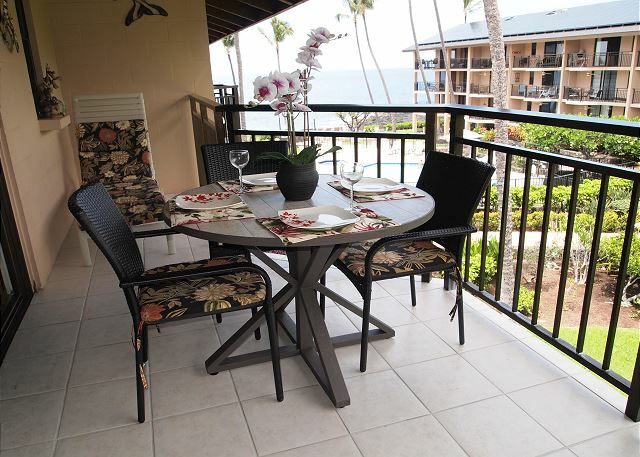 Best part: looking out to the ocean while drinking ocffee on the lanai. Worst part: a bit too long of a walk to get to downtown Kona(not bad at all for a 'worst part'. Also - the condo rules were not very family friendly (pool restrictions, noise restrictions). Best for adults only. Superbe location. Wonderful unit. All what you dream for on vacation in Hawaii. 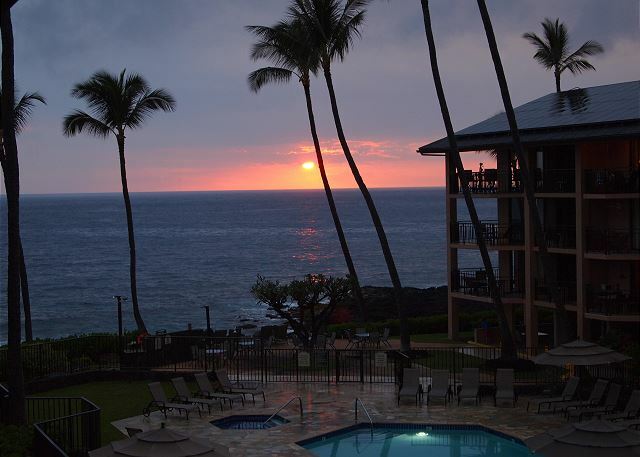 We loved our stay at Kona Makai 2 303. The place fit our needs and had a great view. We watched spinner dolphins as we ate breakfast on the deck! Jamie at the mgmt company was prompt and helpful. We wouls stay in this unit again.